We are Vasilis Kanatas & Vasilis Kanatas owners of the company V. & V. KANATAS O.E. in Delphi Greece. We produce the olive oil “mer des oliviers de Delphes” as well as olives and olive paste. The olive oil is bottled in our own premises in Delphi. The company holds the touristic enterprise “Delphi Camping” and many hectares of olive trees in the area of Delphi. While the variety of Amfissa olives has always been known for its excellent quality and taste, few knew that the oil derived from it has unique quality and flavour characteristics. 1. 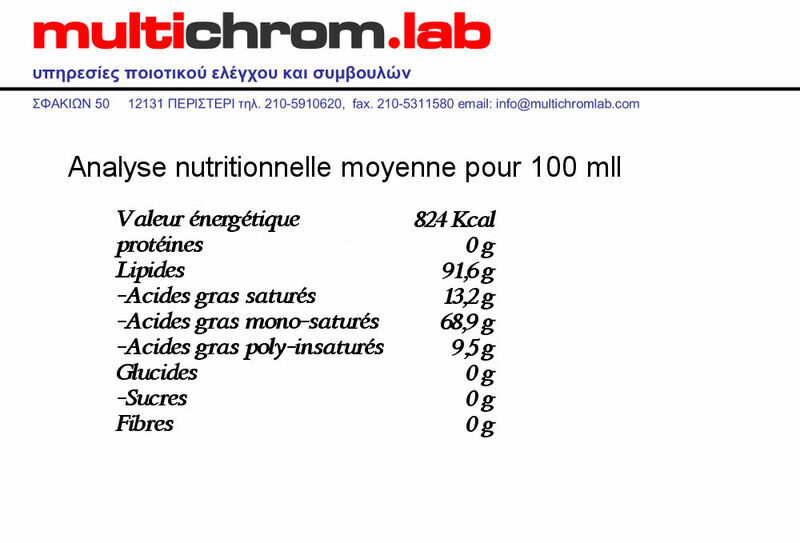 Amfissas type olive fruit has fewer calories per pound than any other fruit (Kalamata – Ladoelias – Koroneiki – etc.). Suitable for diets and healthy eating. 2. 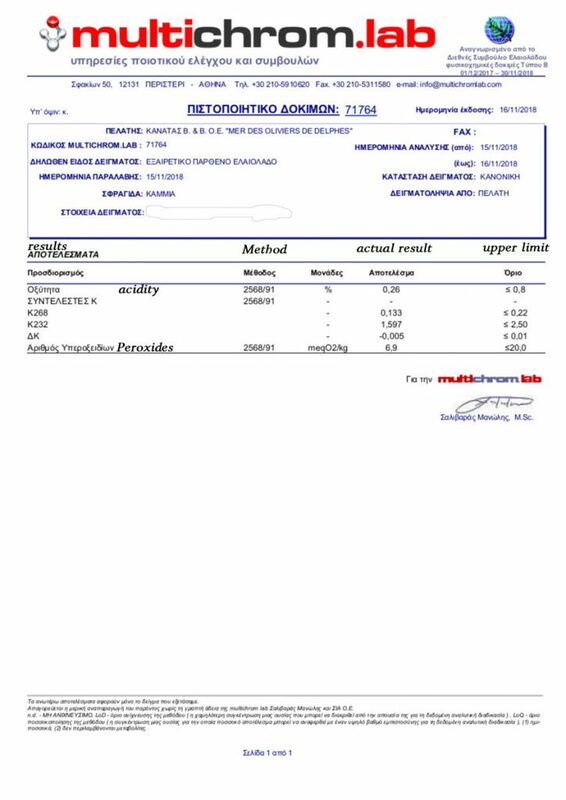 The organoleptic characteristics of our oil is top as shown by the analyses given below as it contains a high content of all the elements that make olive oil unique comparing to others. 3. 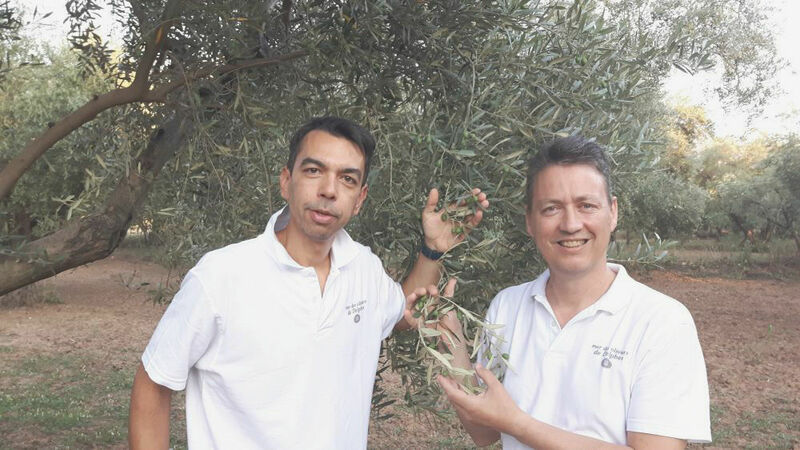 The taste of the oil from the olive groves of Amfissa – Delphi is so unique that it can stand out in hundreds of world oil revenues. The intense fruit aroma is distinctive and specialists use it to highlight the soft flavour of indifferent olive-oils of the state. The fresh olive taste of Amfissa that contains almond and other fruits of the forest flavours, emerges from the oil, driving mad the palate of the specialists as well as the average consumer. The average yield of Amfissa olive is 7 to 1. This means that it takes about 7 kilos of olives for a kilo of oil. The average yield of a Ladoelias, another region of Greece, is 4 to 1. This affects both the quality that is superior of collecting sensory components from more fruit, as well as the price, which is higher for obvious reasons. 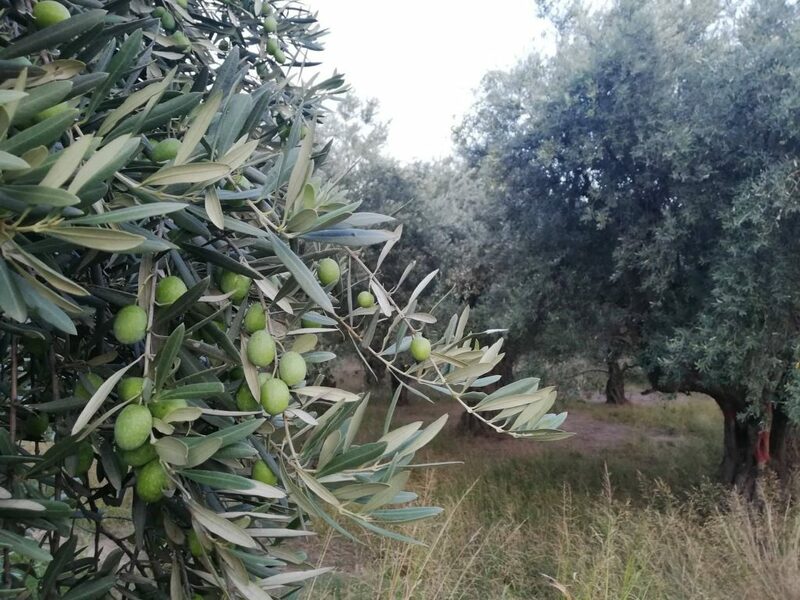 The olives were collected in November 2018 in a traditional way, from irrigated land. The olive oil was bottled in December 2018 so it can be consumed without fear until July 2020. The oil is produced by cold crushing 25-27 degrees Celsius in our region. Bottling is done according to the strict EU packing oil regulations governing this process. The Olive oil ´mer des olivier de Delphes´ is rich in flavour and delicious on the palate with excellent organoleptic characteristics. With passion as weapon and hard work that we inherited from our parents and starting by the olive groves of our ancestors, we aim to highlight the quality of the oil of our region and make it known among connoisseurs and lovers of the olive oil around the world. To bring back the Olive oil of Delphi to the high position that we believe it deserves! !